n a change of tactics, animal rights groups are less inclined to target individual farms or change animal welfare laws through legislation. Instead, they are now targeting companies and brands. In a change of tactics, animal rights groups are less inclined to target individual farms or change animal welfare laws through legislation. Instead, they are now targeting companies and brands. 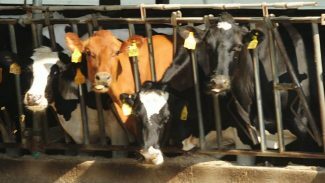 Make no mistake: Their goal remains the same: "The speakers at this year's Animal Rights National Conference made their goals clear — ending all forms of animal agriculture, regardless of how well animals are cared for," said Kay Johnson Smith, Animal Agriculture Alliance president and CEO. "Their persistent focus on pressure campaigns targeting restaurant, retail and food service brands is of great concern to the alliance and our members." Several alliance staff members attended the Animal Rights National Conference in Alexandria, Va., in early August, Smith said. What they found was a continuation of "ends justifying the means" methods to disrupt animal agriculture and the companies that support it. "Breaking the law can often be a good thing to do," said Zach Groff with the Animal Liberation Collective. He talked about "confrontational activism" such protests, vigils and open animal rescues from farms without permission. "This is a type of activism that can often upset people, it can rile people up." A major focus of this year's conference was placing pressure on restaurant, retail and food service brands to adopt policies that ultimately lead them to stop selling meat and animal products. The reason animal rights groups are focusing on brand activism is that it works, and may be the fastest way for them to achieve their goals. "We see this approach over and over again," said Hannah Thompson-Weeman, VP of communications for AAA. There also tends to be less under-cover video being shot on farms because mainstream media is less interested in this type of video. But if activists can tie the video to a household brand name or a company, the activist groups will use it to pressure the company. "It's the quickest way for them to get attention," said Thompson-Weeman, and the quickest way to force a company to sever ties with a farm.